Jehovah's Witnesses are a people of faith that many of us likely don't know that much about. We may remember them as the people who often come to our homes in order to evangelize, but do we actually know what they believe? Below are 10 facts about this group which branched off from orthodox Christianity in the late 1800's. We answer the questions of how they got their start, what their core beliefs are, and how many people ascribe to this faith in the world today below. 1. When were the Jehovah's Witnesses founded? Jehovah's Witnesses got their start in 1870 when a man named Charles Taze Russell started leading Bible studies in Pittsburgh, Pennsylvania. The Jehovah's Witnesses movement came out of the Bible Student movement, which was also founded by Taze. When Taze began disputing some of the traditional views within Christianity, the Jehovah's Witnesses were born. 2. Where did Jehovah's Witnesses get their name? Jehovah's Witnesses focus on God the Father, so their name is taken from the Tetragrammaton, written as YHWH or JHVH and articulated either as Yahweh or Jehovah. The group was originally called the Watch Tower Society because founder Charles Taze Russell published a magazine called Zion's Watch Tower and Herald of Christ's Presence. 3. Do Jehovah's Witnesses use the same Bible as Christians? "The New World Translation of the Bible is Jehovah's Witnesses own translation, no other religious group uses this Bible and Jehovah's Witnesses make very little use of other Bibles. The translators of The New World Translation were: Nathan Knorr, Albert Schroeder, George Gangas, Fred Franz, M. Henschel." 4. Do Jehovah's Witnesses believe in the Trinity? The answer to this is no. It is one of the more major ways in which Jehovah's Witnesses differ from various Christian denominations. See the next couple points for more details on this. Jehovah's Witnesses refer to the fact that the Bible never explicitly mentions the term "trinity." They claim this "doctrine developed gradually over several centuries and through many controversies." 5. What do Jehovah's Witnesses teach about Jesus? Jehovah's Witnesses believe that Jesus is not equal with God. They teach that Jesus was created by God and not coexistent wth Him. This, of course, is a major diversion from orthodox Christianity. JW.org explains, "[W]e take Jesus at his word when he said: 'The Father is greater than I am.' (John 14:28) So we do not worship Jesus, as we do not believe that he is Almighty God." 6. What do Jehovah's Witnesses believe about the Holy Spirit? Similar to their view of Jesus, Jehovah's Witnesses do not believe the Holy Spirit is equal with the Father. The instead believe the Holy Spirit is a force applied by God. They claim that the Holy Spirit is "impersonal": "By referring to God’s spirit as his 'hands,' 'fingers,' or 'breath,' the Bible shows that the holy spirit is not a person. (Exodus 15:8, 10) A craftsman’s hands cannot function independent of his mind and body; likewise, God’s holy spirit operates only as he directs it. (Luke 11:13) The Bible also compares God’s spirit to water and associates it with such things as faith and knowledge. These comparisons all point to the impersonal nature of the holy spirit." 7. Do Jehovah's Witnesses celebrate holidays? Jehovah's Witnesses don't celebrate Christmas or Easter, which makes sense when you remember that they don't believe Jesus is equal to God. They also don't celebrate other national holidays or birthdays in an attempt to remain separate from the world. 8. What do Jehovah's Witnesses believe politically? Jehovah's Witnesses try to remain politically neutral. They don't believe in serving in politics or in the military, mainly as another way for them to distance themselves from the culture. Instead, they emphasize citizenship in God's heavenly kingdom. "Jehovah’s Witnesses remain politically neutral for religious reasons, based on what the Bible teaches. We do not lobby, vote for political parties or candidates, run for government office, or participate in any action to change governments. We believe that the Bible gives solid reasons for following this course," states JW.org. 9. What do Jehovah's Witnesses believe about medical help? Jehovah's Witnesses hold the controversial view of rejecting blood transfusions, even in life or death situations. Recently, Russia banned Jehovah's Witnesses and this issue was one of the reasons stated for their doing so. "Some treatments conflict with Bible principles, though, and we reject these. For example, we don’t accept blood transfusions because the Bible forbids taking in blood to sustain the body. (Acts 15:20) Likewise, the Bible prohibits health treatments or procedures that include occult practices.—Galatians 5:19-21," explains JW.org. 10. 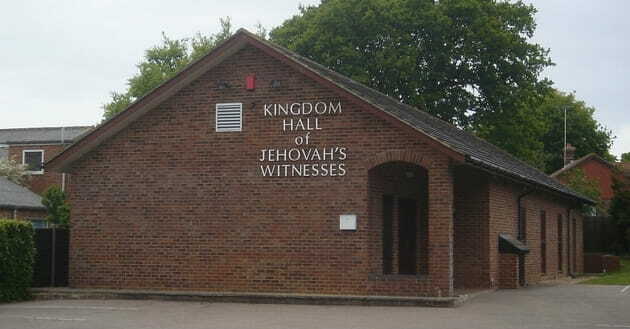 How many Jehovah's Witnesses are there today? There are reportedly 8.3 million Jehovah's Witnesses around the world and nearly 120,000 congregations. They are also known for their evangelical work going door-to-door attempting to make converts. Article based on the Christian Today article titled "Who are the Jehovah's Witnesses? 5 things you should know" and the ChristianHeadlines.com article "10 Things You Should Know about Jehovah's Witnesses."